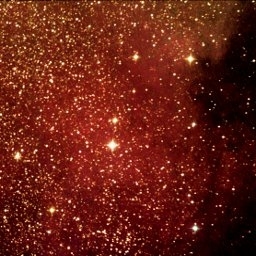 Nebulae are clouds of gas in the universe. 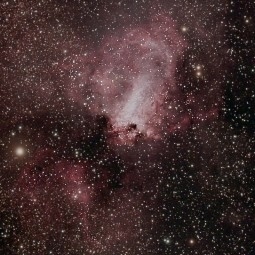 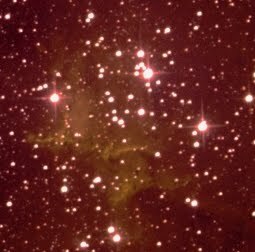 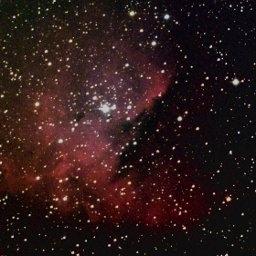 We find emission nebulae, rather often in the vicinity of hot stars. 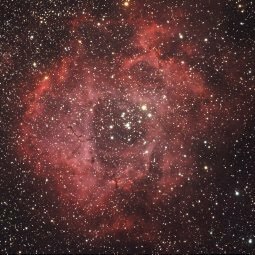 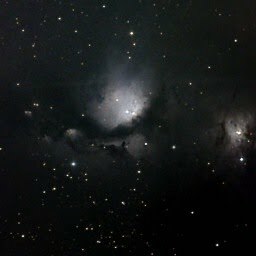 These nebulae emit light due to ionization of the atoms in the cloud or the high excitation of electrons caused by the unltraviolet radiation of young stars. 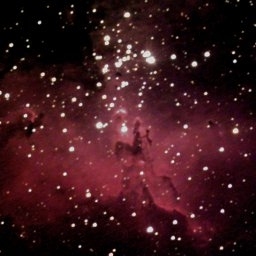 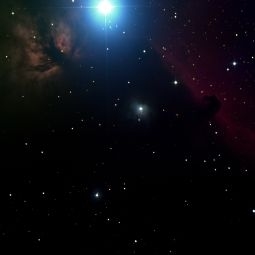 The light of these nebulae is typically dominated by the red emitted by the HII transition (so from the third to the second lowest energy level). 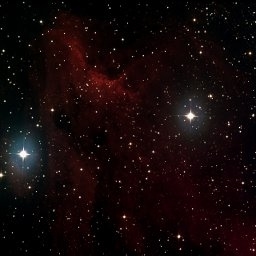 Blue colors can be found in the so called reflection nebulae. 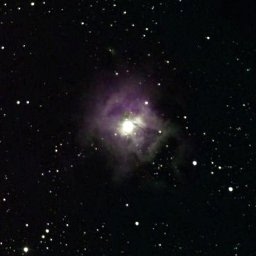 Here we observer star light scattered by interstellar dust. 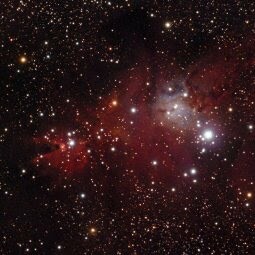 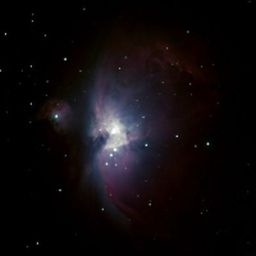 As the dust scatters bue light more than red one, we actually observer a "bluer" nebula. 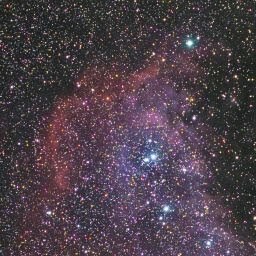 We also observe dark nebulae: these are regions of dense gas clouds which hide the stars lying behind them in our line of sight. 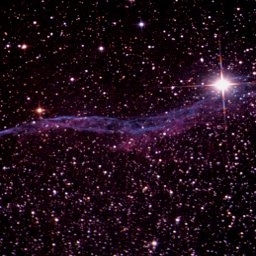 In this section you will also see supernova remnants. 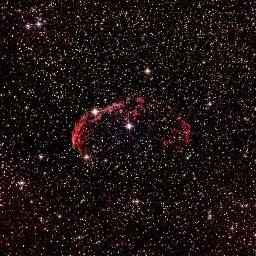 These consist of the debris created by a star explosion, well, a supernova. 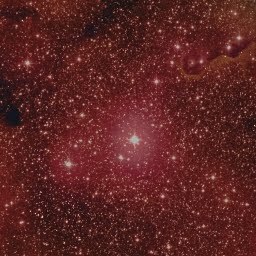 J. Bennett et al., "Astronomy"